package include 10 channel +10 spring wire. 6.5ft each. 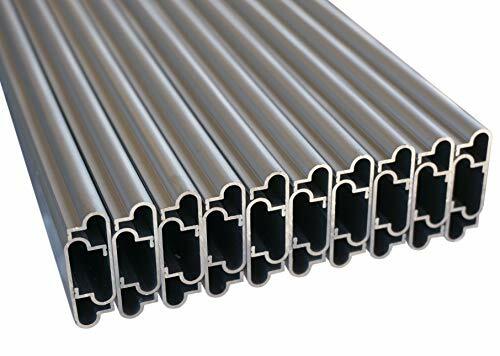 1.25"W, 0.5"H, 1/16" thick profile, inside of channel 1.125"
The outer layer of U channel is oxidized and used more durable, and the surface will not darken. PVC coated Spring Wire 6.5 ft in length. If you have any questions about this product by SHANS, contact us by completing and submitting the form below. If you are looking for a specif part number, please include it with your message.